1. 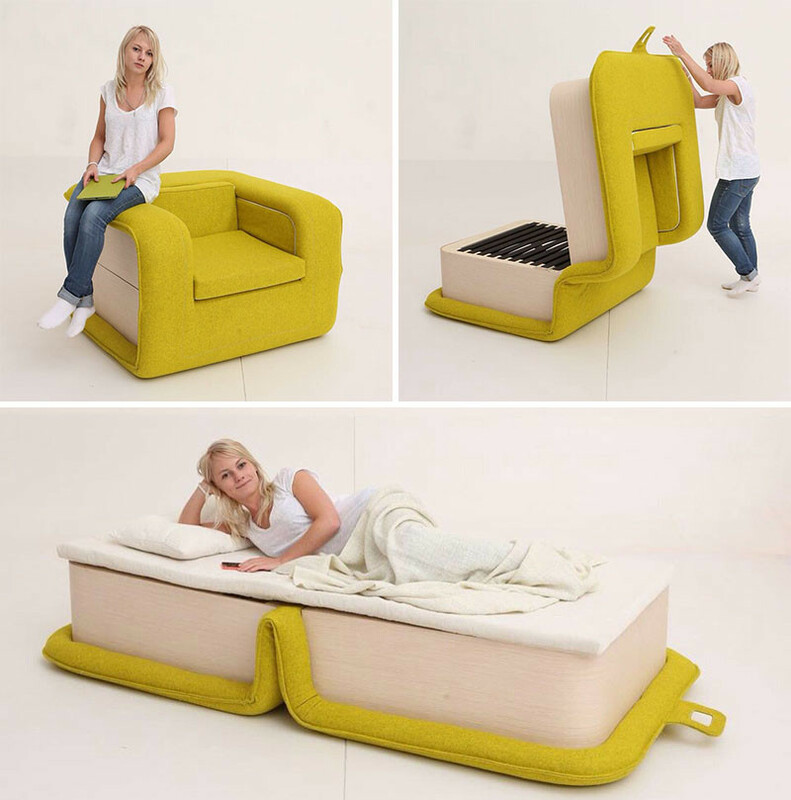 This comfy looking armchair folds open and becomes a bed. 2. 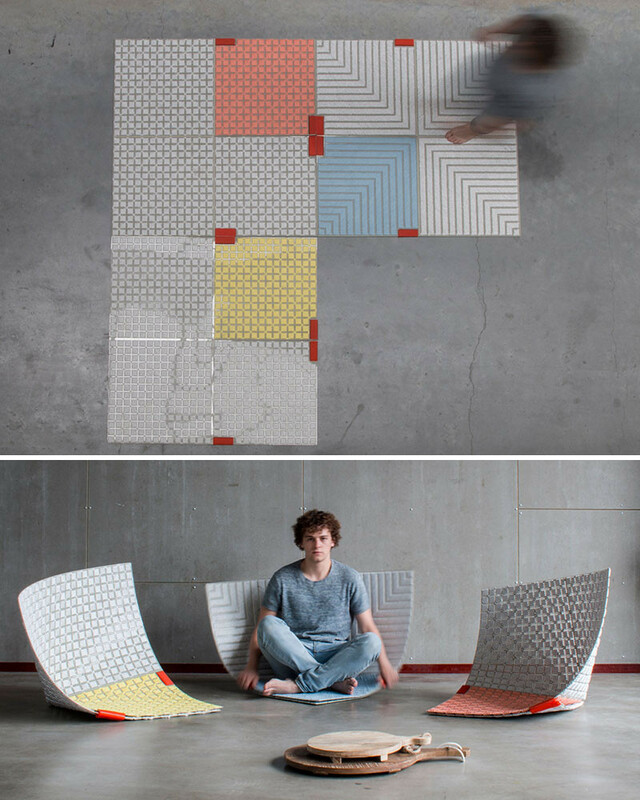 These small carpets are designed to transform into seating. 3. 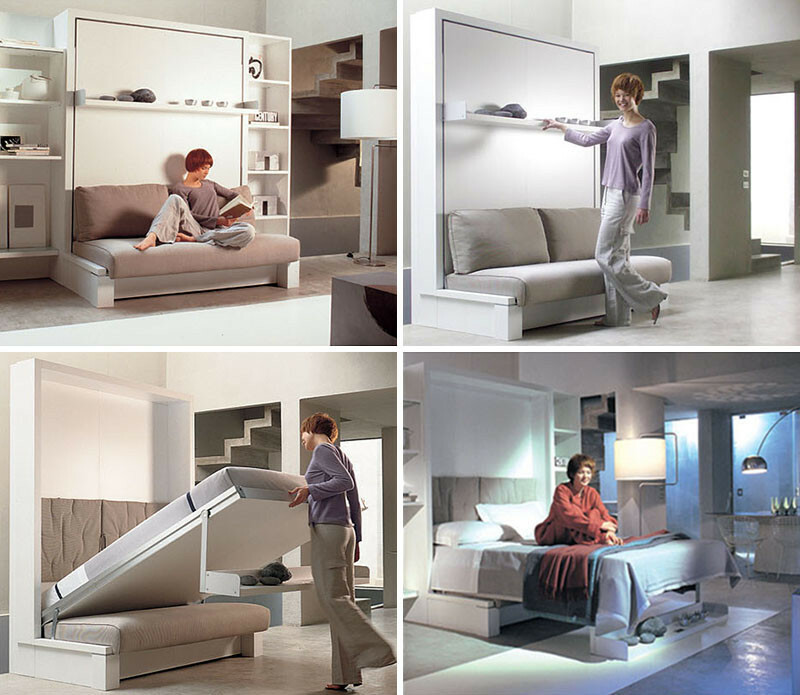 This wall unit with shelving, folds down and perfectly fits over the sofa to become a bed. 4. 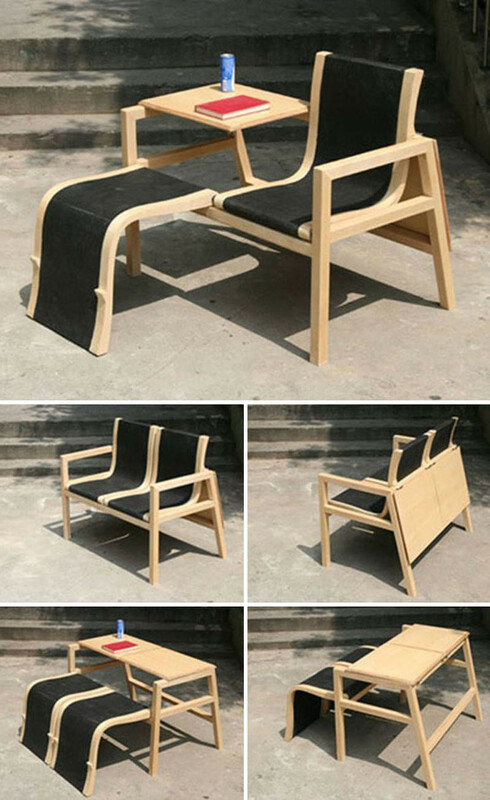 This chair and side table, transforms into a loveseat, or a bench with table. 5. 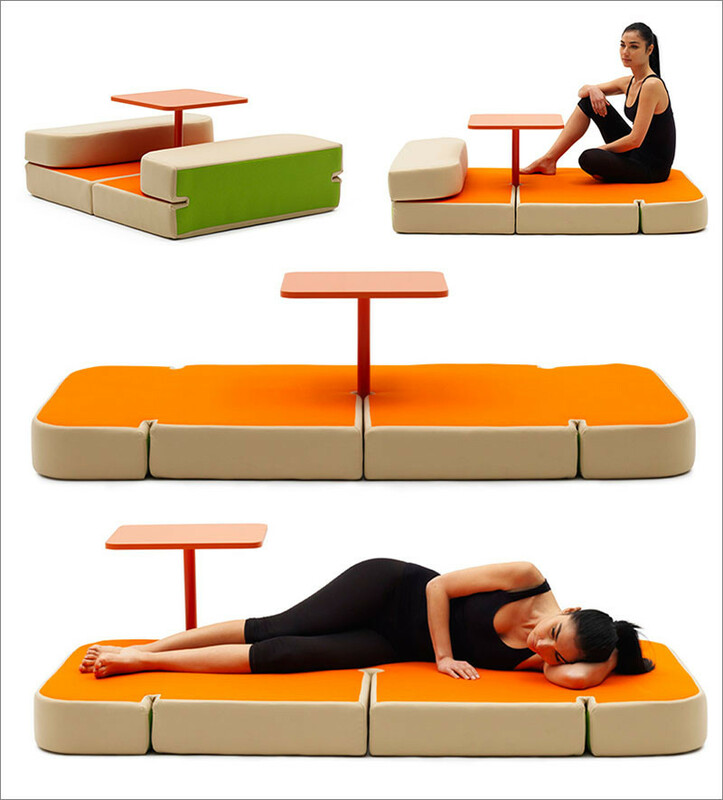 These bench seats with a table, fold out into a bed. 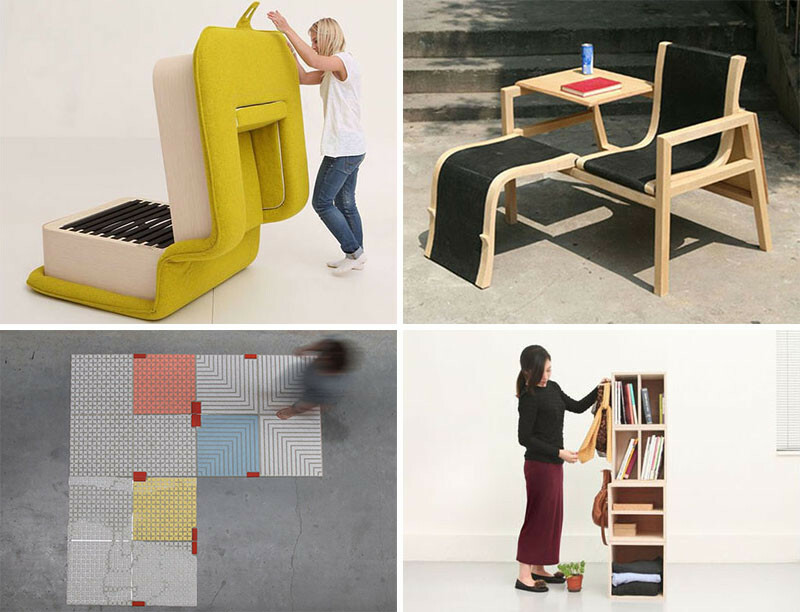 Designed by Matali Crasset for Campeggi. 6. 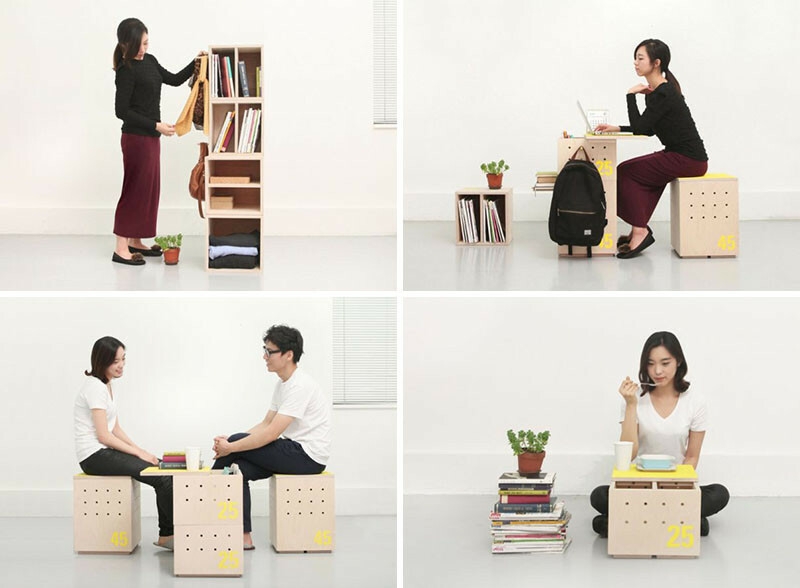 These stackable boxes provide storage, but also become seats and tables. 7. 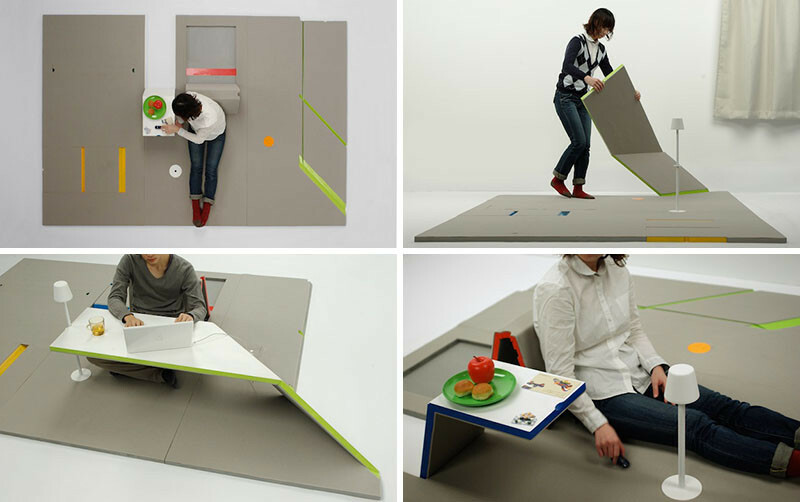 This three piece mat set transforms into a side table, desk, and lounge chair. Designed by Shin Yamashita. Photos by Tomomi Takano. 8. 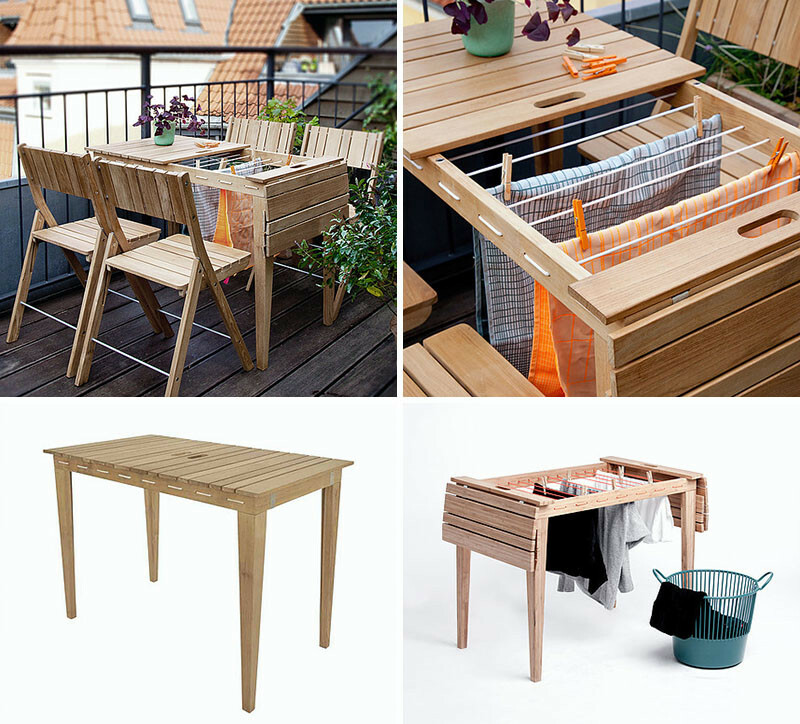 This outdoor table turns into a clothes drying rack.